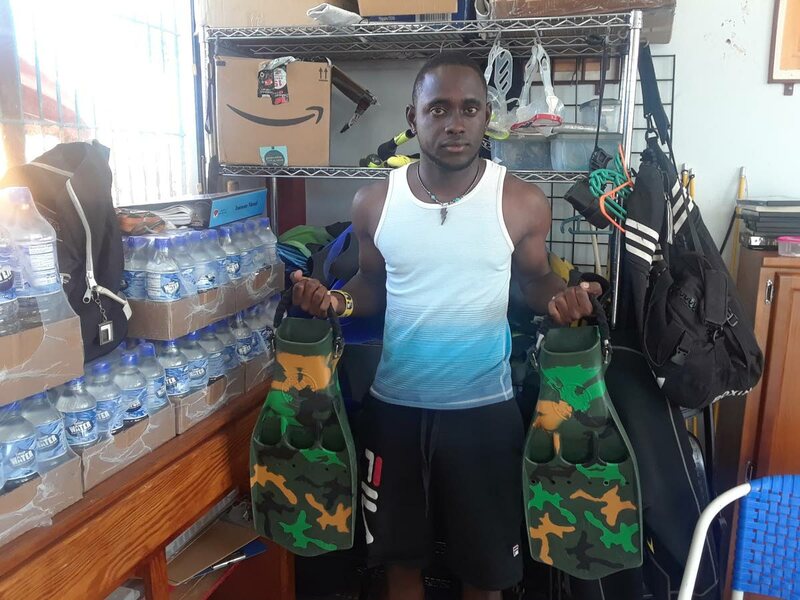 Giovanni Vidalis shows off some of the diving gear at Frontier Divers at Store Bay in Tobago. GOVANNI VIDALIS, 22, originally from Trinidad, found a love for deep diving in Tobago waters. 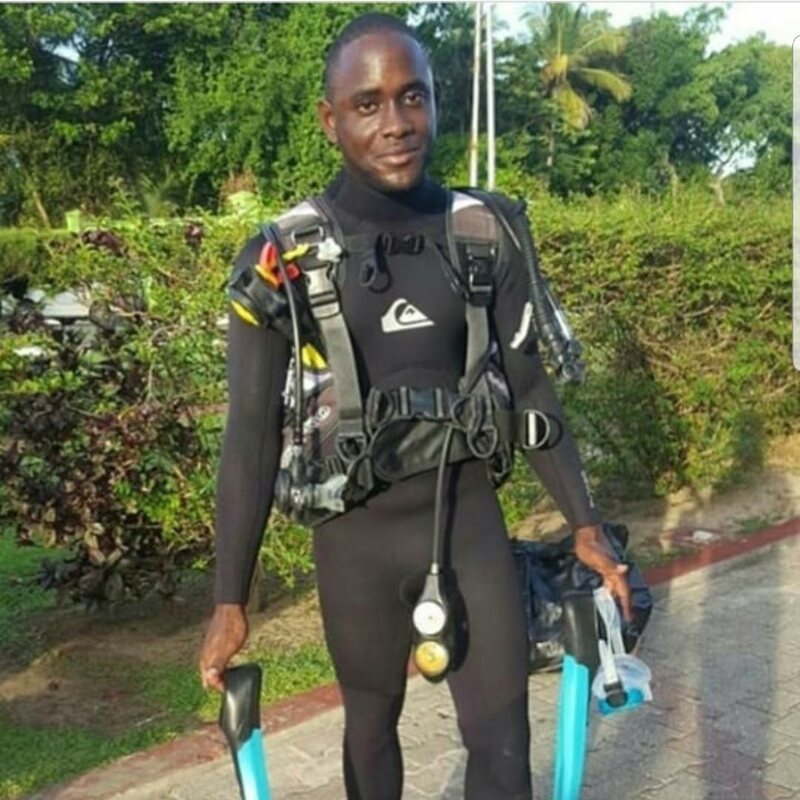 This love encouraged him to move from St Madeleine, Princes Town, to French Fort Scarborough and within a month he found a job as a scuba diver employed at Frontier Divers in Store Bay. Vidalis said he was never excited to learn how to swim but because of his severe asthma condition he was placed in a swimming club to assist his breathing. He said after leaving secondary school he began to research careers that involve swimming. He began teaching swimming at a number of swimming clubs and programmes and would sometimes be hired to act as a lifeguard at private pool parties for children. Vidalis said he dives at least 14 times a week and has gained a lot of experience in the short time. “The more you experience the less you won’t panic and be able to handle situations underwater better,” he said. Reply to "Love for deep diving takes Vidalis to Tobago"